Extra long yoga mat. Ideal for the larger yogi. This all-round yoga mat is suitable for both studio and home use. All our yoga mats are recyclable, sustainable and biodegradable. Dimensions: 200 cm. x 61 cm Thickness: 6 mm. Anti slip. 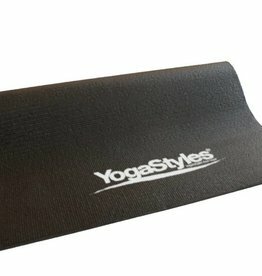 This all-round yoga mat is suitable for both studio and home use. All our yoga mats are recyclable, sustainable and biodegradable. Dimensions: 183 cm. x 61 cm Thickness: 6 mm. Anti slip. Ashtanga vinyasa yoga and the similar power yoga are also physical yoga types, where different body positions follow each other in yoga sessions. Chakra yoga is a spiritual approach to the energy fields in the body, called chakras. Tantra yoga: mystical spells are part of this. This form of yoga is also called tantric yoga. The mantra yoga is also based on mystical spells and sound vibrations, called mantras. Vishnas are yoga postures that are used, among other things, within the kum nye. Here they assume that when a person is completely in balance, he must be able to perform these vishna exercises effortlessly. Kundalini yoga is based on the awakening of the psychic force, also called the divine force (snake power: kundalini) in the body to awaken and let it rise and thus realize the salvation. Lagripro has deliberately chosen to have all yoga mats produced that are manufactured with respect for people and the environment. In the contemporary picture of time it no longer fits Yogi's and Yogini's practice yoga on cheap environmentally unfriendly yoga mats. We have therefore specially produced the following series: EKO Allround PRO , Yoga mat EKO Allround, Yoga mat EKO Hatha , Yoga mat TPE Power Grip and the EKO-TPE-PRO.